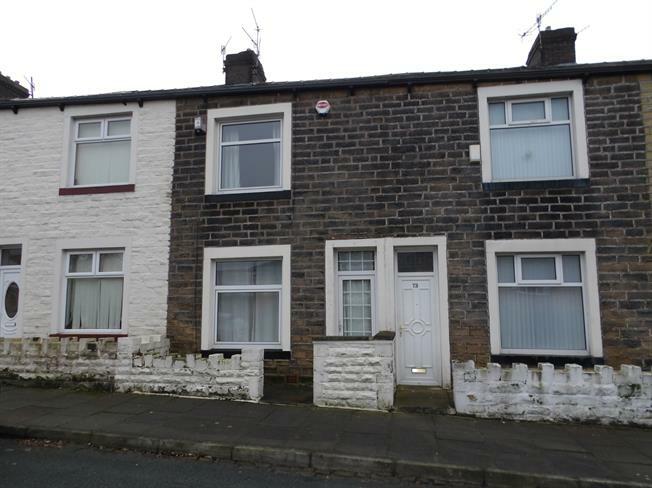 2 Bedroom Terraced House For Sale in Burnley for Offers Over £65,000. A spacious open plan two bedroom mid terrace home! Offered For Sale with No Chain! The property is an ideal starter home or investment! Viewing is highly recommended! In brief comprising of open plan living and dining room with open stairs case. Large fitted kitchen over looking enclosed yard to rear. To first floor, main bedroom benefits from fitted wardrobes and storage cupboard, a three piece bathroom suite and bedroom two to rear. Double glazed window to front, two wall lights, one ceiling light and tv point. Double glazed window to rear, radiator, gas fire with surround and one ceiling light point. A range of wall and base units with contemporary work surfaces, integral electric oven, four ring gas hob, splash back tiles, stainless steel sink and drainer, one ceiling light point, back door leading to yard and double glazed window. Double glazed window, radiator, one ceiling light point, fitted wardrobes and storage cupboard with loft access. Bath with shower over, low level wc, wash hand basin, tiled splash back, radiator, tiled effect flooring and frosted double glazed window to rear.